I would like to touch upon again the topic of organization and disorganization to finish this 24th door off. When comparing the two in modern football, there seems to be a larger focus on organized phases. Disorganization is easier to create and harder to prevent. 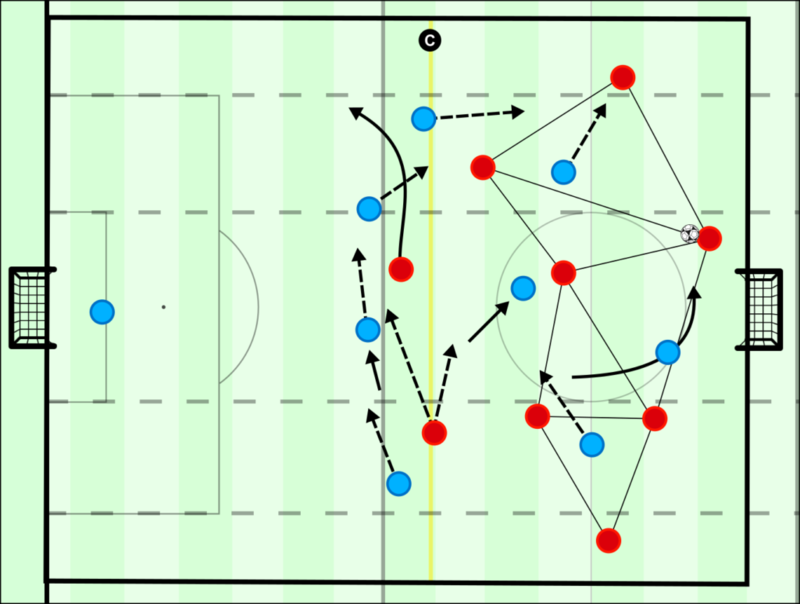 Guardiola’s teams are often dominant because they have the best organized offense and force the opponent almost constantly into an organized defense. The whole Konzeptfussball team wishes you a merry Christmas. A big “Thank you!” to all guest authors. You are the real heroes!